August 6, 2018 - The Arctic Adventure begins! Nanuq set off from Ny Alesund this afternoon, beginning the next truly adventurous leg of its journey North. 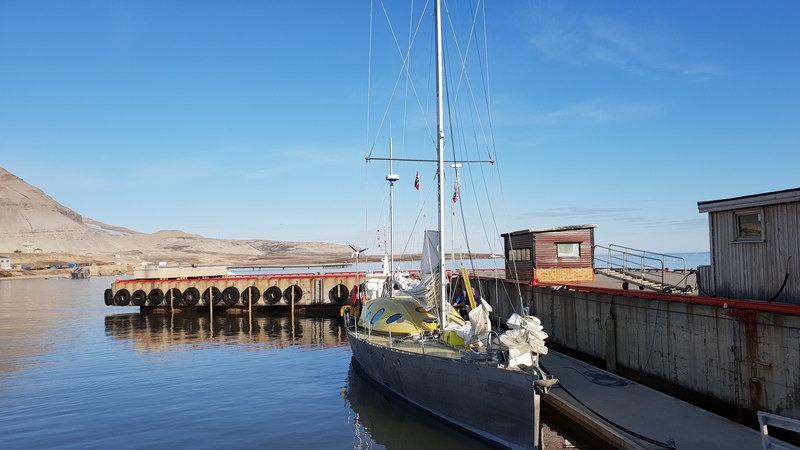 The Polarquest team will be at sea for two weeks, carrying out scientific exploration of the northermost part of svalbard and searching for the Airship ITALIA. Their departure came after a 2 day rest in Ny Alesund, also known as Kings Bay, where they met with the descendants of the Airship and carried out repairs to their daggerboard. The repair was successful and the daggerboard will be lowered back into its slot on Nanuq during the journey in the coming days.